Dr. Sasha Garver teaches at the Preucil School in Iowa City. Previously she was faculty at Community School for Music and Arts (Mountain View) and Dominican University of California from 2012-2015. Former chair of the music program at Northern New Mexico College, where she taught Music Theory, Music History, Flute, Choir and Voice. Sasha taught Suzuki flute and piano with Santa Fe Talent Education from 2009-2012. An active performer, she has been a soprano soloist, chorister as well as 2nd flute/piccolo with the Santa Fe Symphony. Sasha performed as second flute/solo piccolo of the Macau Orchestra, SAR China. While in Asia, she studied with Toshio Takahashi, founder of the Suzuki flute method. Sasha has been a concerto soloist with the Denver Philharmonic, the Santa Fe Community Orchestra and the Longmont Symphony. 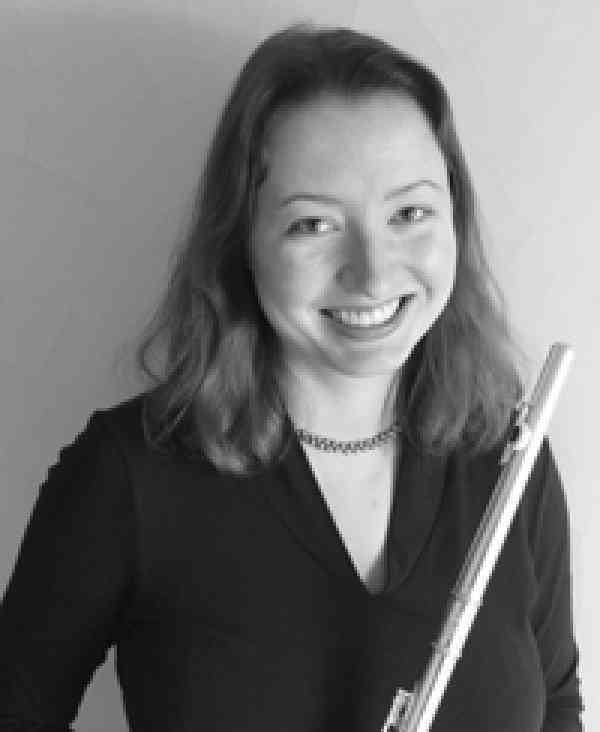 Sasha holds her Doctorate in Flute Performance and Pedagogy from CU-Boulder and MM from The University of Cincinnati. She has two Bachelor of Music degrees in flute and voice. Dr. Garver has studied with flutists Alexa Still, Bradley Garner, Randy Bowman and Jack Wellbaum. Her voice teachers include Regina Rickless, Tina Milhorn Stallard, Cathy Kasch and Emily Bullock. Sasha is a columnist for Flute Focus International Flute Magazine (NZ), and has contributed to the American Suzuki Journal. Sasha has lectured at the Suzuki World Conference, the National Flute Convention (2009 and 2015), the Suzuki Association of the America’s International Conference, and the Albuquerque Flute Fiesta. Sasha has been flute faculty at Regis University, Colorado Christian University, Desert Suzuki Institute, Santa Fe Talent Education, Santa Fe Suzuki Institute, Rocky Mountain Center for Musical Arts, the University of Cincinnati College-Conservatory of Music Preparatory Department, and the 2009 Suzuki World Conference in Melbourne, Australia. Sasha has also taught at the 2014 and 2012 Cedros-Pan American University Suzuki Institute in Mexico City, and was Flute Ensemble Conductor for the 2010 and 2012 SAA Conference.